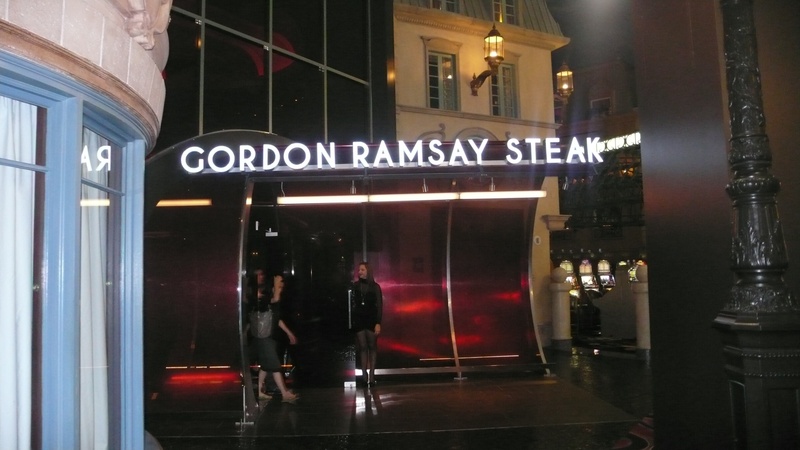 Celeb chef Gordon Ramsay pays tribute to his home country of England both in menu items and atmosphere at his new steakhouse located in Paris. 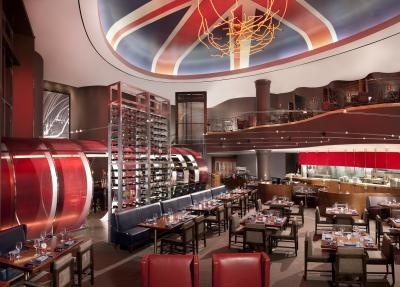 Diners enter through a “chunnel” emulating the passageway from England to France and the two-story dining room’s main focus is a dangling neon art sculpture representing the chef’s movements while creating his signature Beef Wellington. 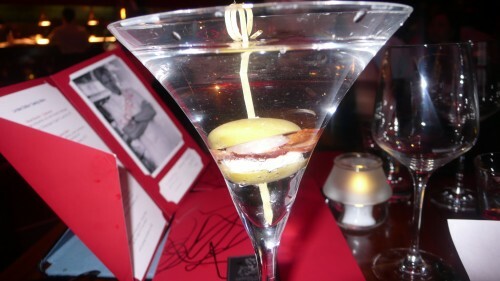 The restaurant accommodates 200 guests who can choose to dine at the bar, lounge, chef’s table or main room. 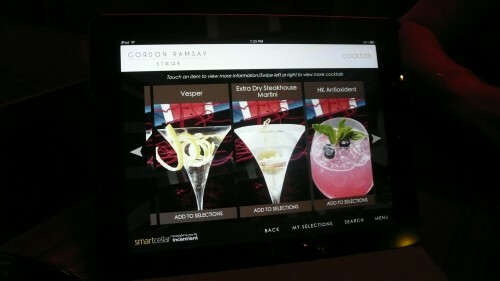 Drinks can be perused via an iPad digital menu provided for each table. I visited a few weeks ago for an article for The Daily Meal and invited my good friend Joni to tag along. 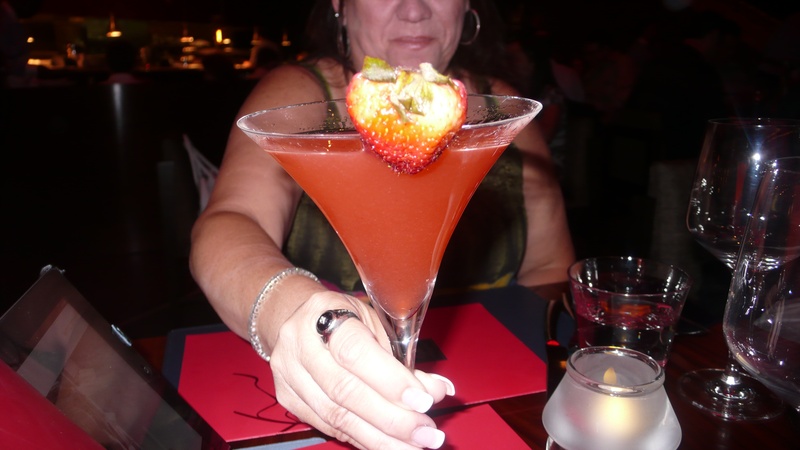 I chose my standard dirty martini which came with a nice surprise of bacon at the end of my olive, Joni chose a strawberry cosmo. 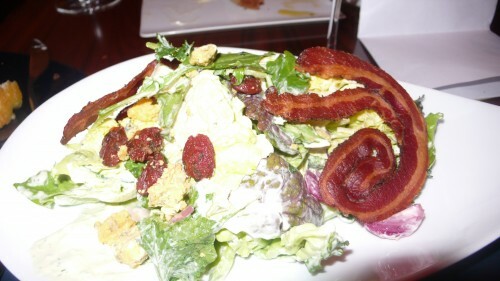 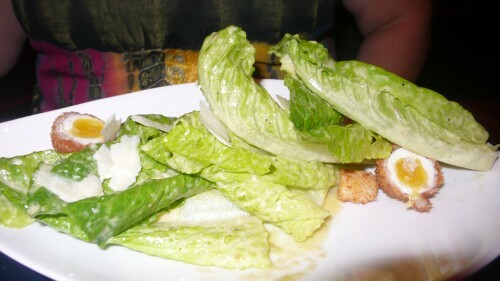 Joni chose the traditional Caesar salad which came with a nice surprise – a Scottish egg, and I selected the market green salad with butter lettuce, crispy pancetta, blue cheese, tomato raisins and green goddess dressing. For the main course, an array of raw beef in various cuts is presented tableside. 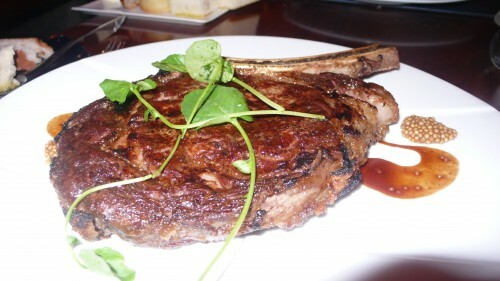 Each is dry aged for at least 28 days in a Himalayan salt room and hand selected by Pat LaFrieda. We both chose the ribeye which was perfectly cooked. Other menu offerings include seafood and Ramsay’s infamous Beef Wellington. 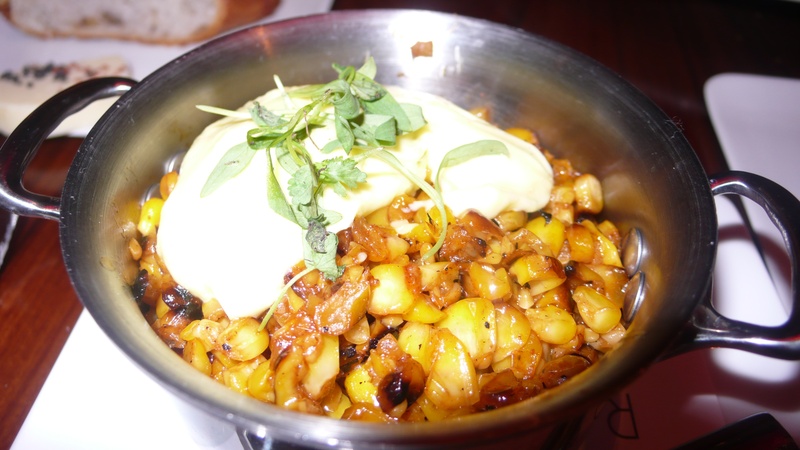 We chose fire roasted corn with chile and lime and a huge baked potato for our sides, others menu sides include a mushroom tart, sautéed spinach, mac and cheese and other steakhouse standards. 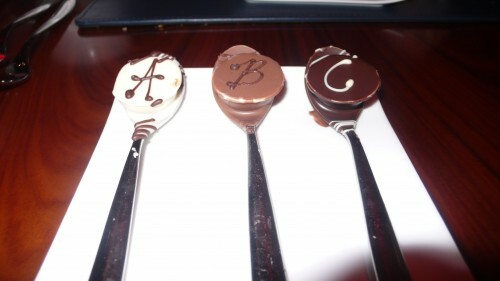 Before our dessert course came out we were presented with three chocolate and liquor dipped spoons which paired well with our coffee. 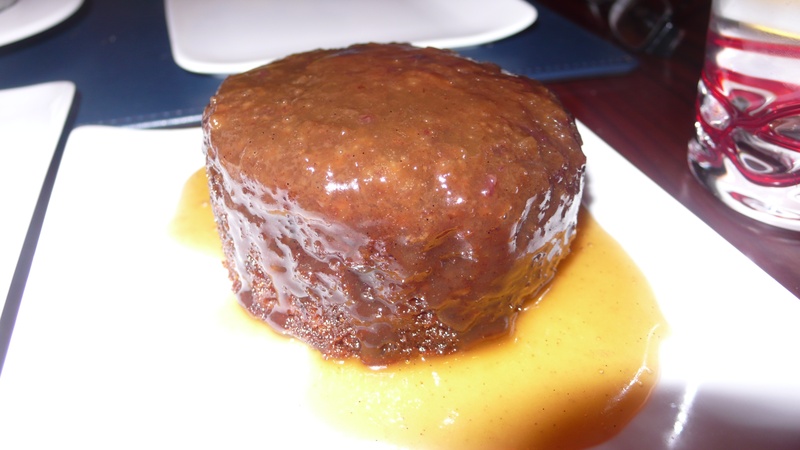 The standout dessert is Ramsay’s Sticky Toffee Pudding, which Joni ordered, and consisted of a sweet pudding cake, brown sugar toffee and brown butter ice cream, delicious. 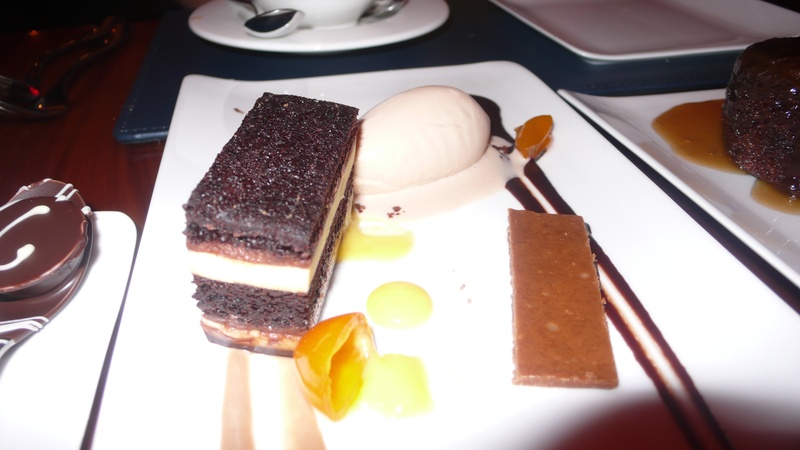 A dedicated chocoholic, I ordered the chocolate layers, a rich chocolate cake with passion fruit ganache layers and coffee ice cream. 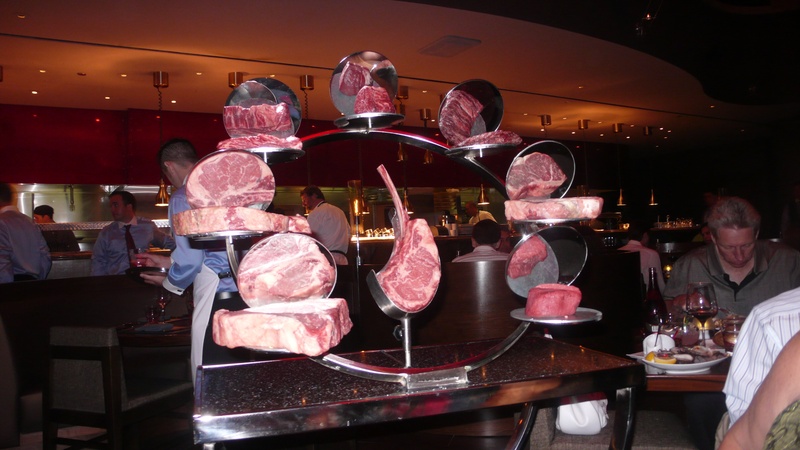 The next time you find yourself in Sin City hankering for a traditional steak, head over to Chef Ramsay’s new digs. 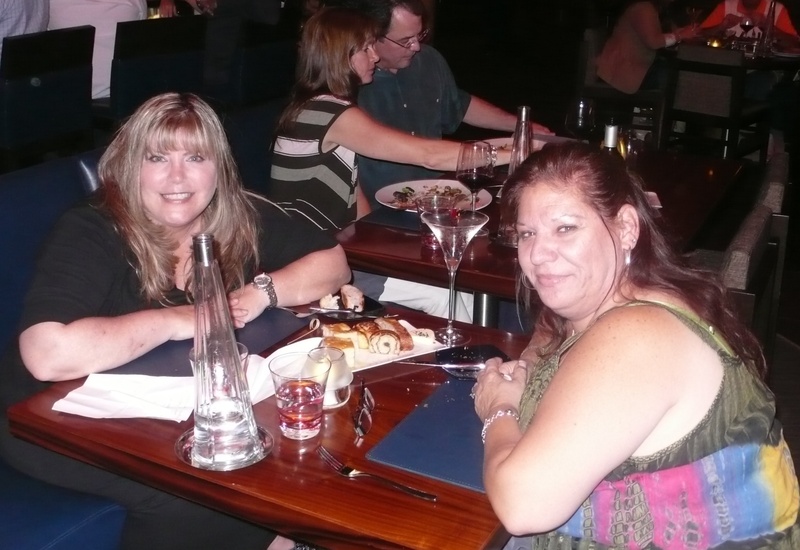 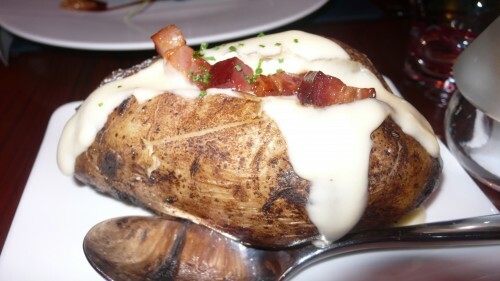 Located at 3655 South Las Vegas Boulevard, reservations at 702/946-7000.